B5 zoning – liquor license included. Business and real estate for sale. 4 units. This grand opportunity is located 2 miles due north of downtown Ocala, past the livestock pavilion. Situated on 0.5 acres. This property benefits from high traffic counts. 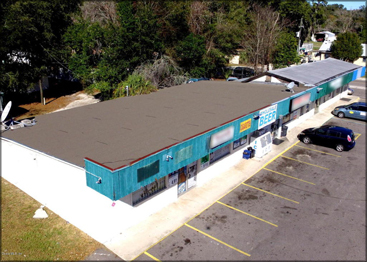 This location allows for easy transportation via the 441 corridor northward to Gainesville / Lake City or southward. Take advantage today. Great use for liquor store automotive hardware store pool supply bar restaurant hair salon and many other uses.